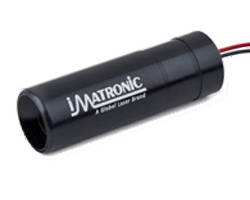 The LDM45 is a CW laser diode module capable of emitting lines of different lengths and a variety of shapes and patterns using interchangeable projection optics. It emits an optional circular or elliptical beam that can be converted into lines, crosses, circles, grids, viewfinders, dot arrays, and more. An innovative approach to structured illumination, you can easily interchange line-generating optics (LGO) and diffractive optical elements (DOE) by hand. The resulting projections can be used to align, position, and target objects of different shapes and surface profiles. 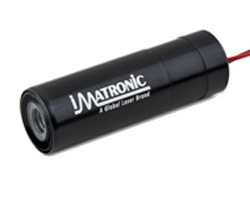 Wavelengths of green (520nm), red (635, 650, 670nm), and infrared (780, 850nm) are available with output powers up to 5mW. The green model emits light that appears more than 2X brighter to the human eye than the equivalent power in 635nm. As a result, you’re more likely to see these projections against dark materials, in high ambient light levels, or from long distances. 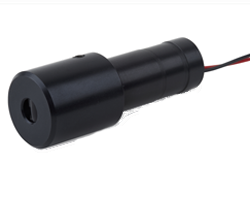 Housed in an electrically-isolated and ruggedised metallic body measuring 16mm in diameter, the LDM145 is recommended for industrial environments and integration with OEM equipment. A comprehensive range of accessories including mounting clamps, rail systems, laser safety glasses and enhancement glasses are also available to complement the LDM145.